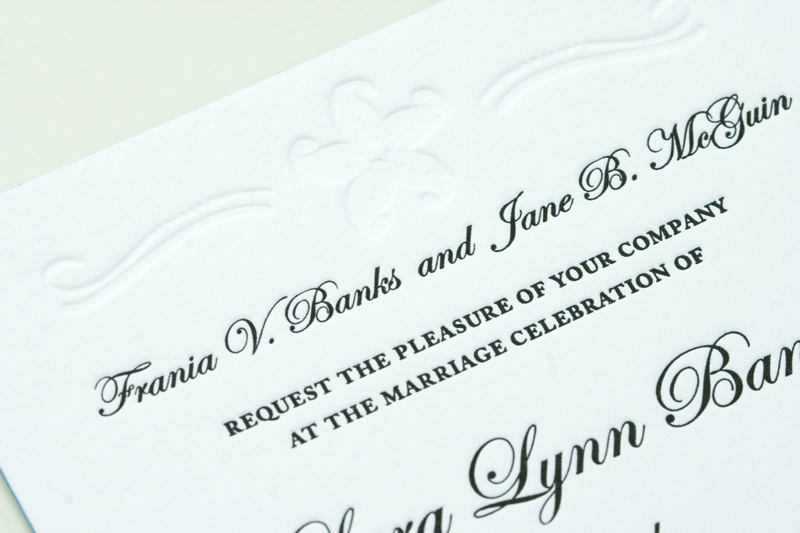 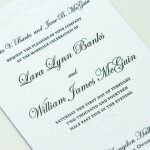 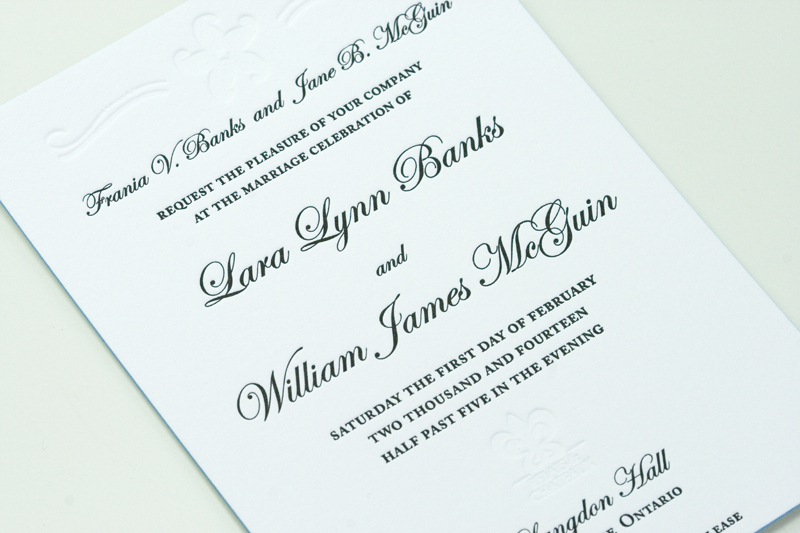 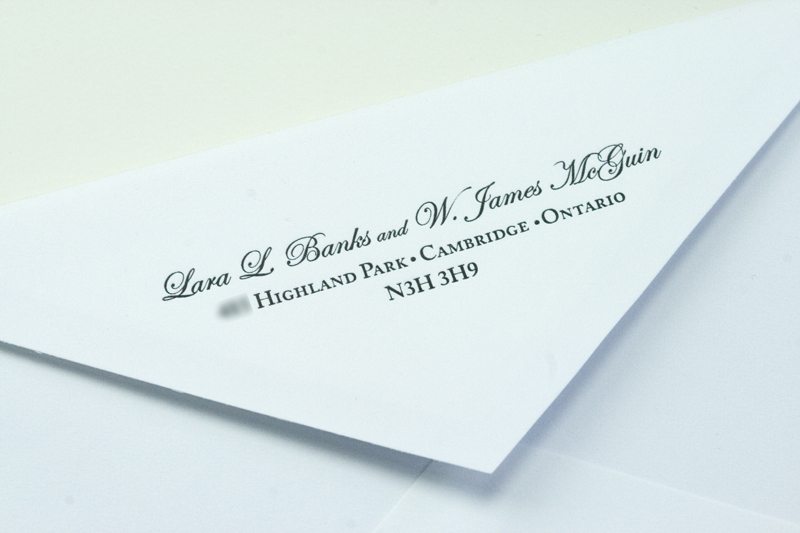 In late 2013 we were approached to design a simple and elegant, yet very elaborate invitation suite. 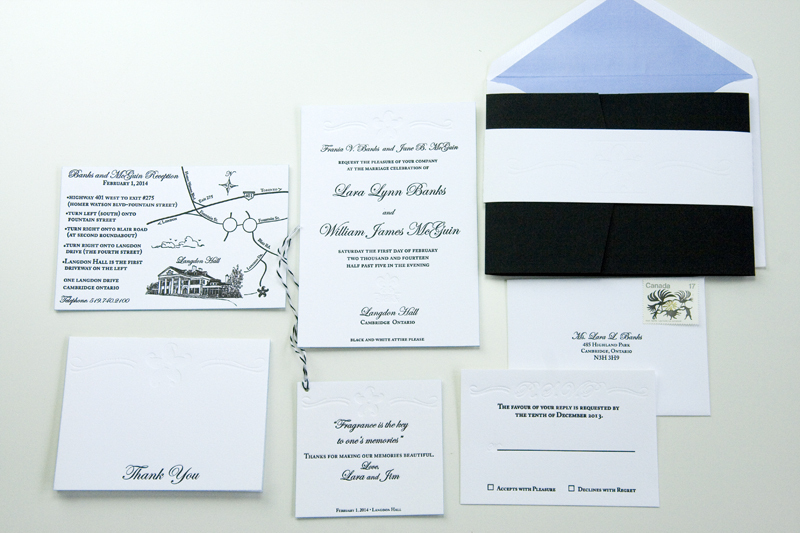 This one had all the pieces: the typical 4 piece suite, pocketfold, vellum, lined envelopes, plus illustrated map, favour tag, belly band, valet card, and thank you card…most of them with painted edges. 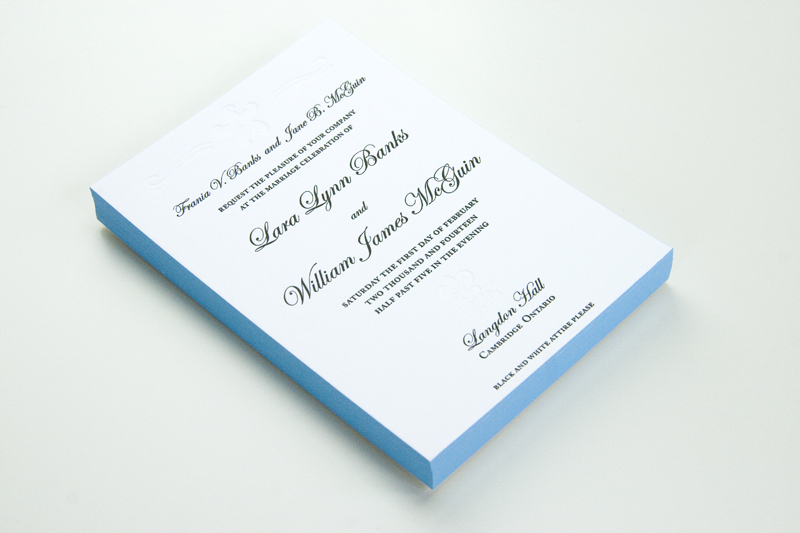 Then announcement card was printed in black with a blind deboss starfish header and Relais & Châteaux logo, on pearl white double-thick 600 gsm Lettra with robin’s blue painted edges. 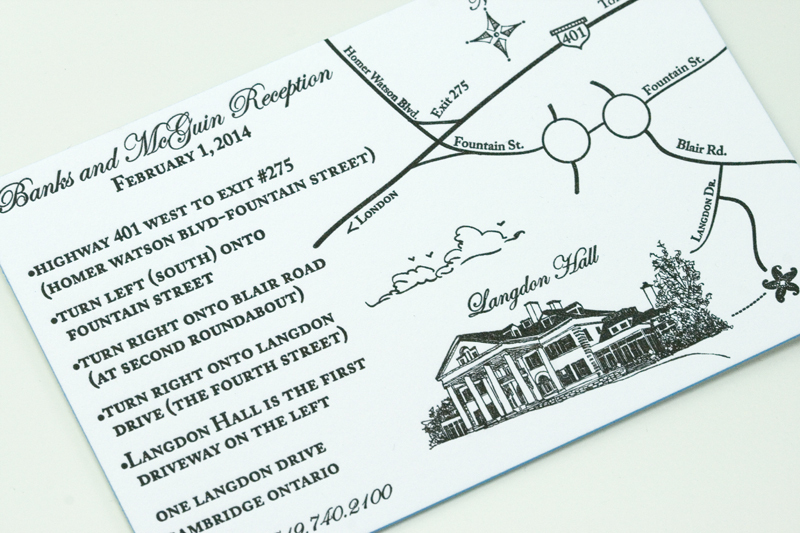 We illustrated the map and printed it in black on pearl white double-thick 600 gsm Lettra, also with painted edges. 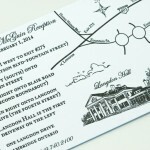 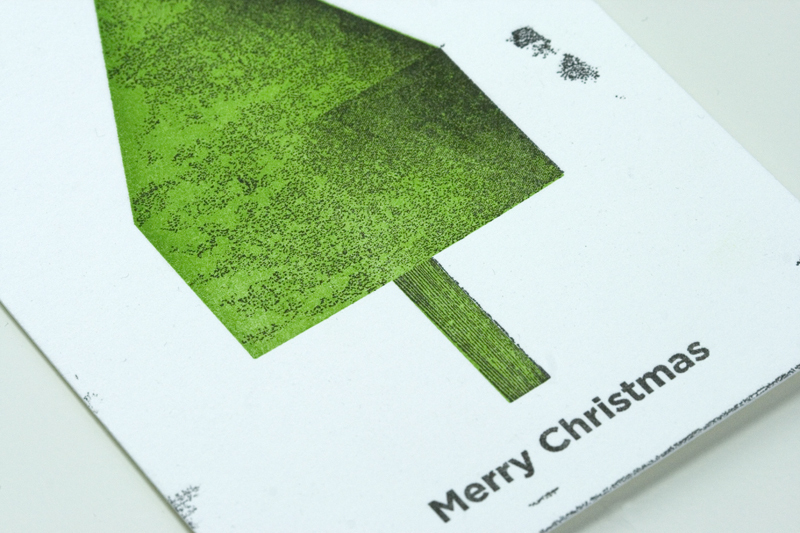 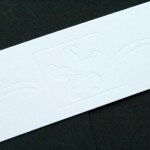 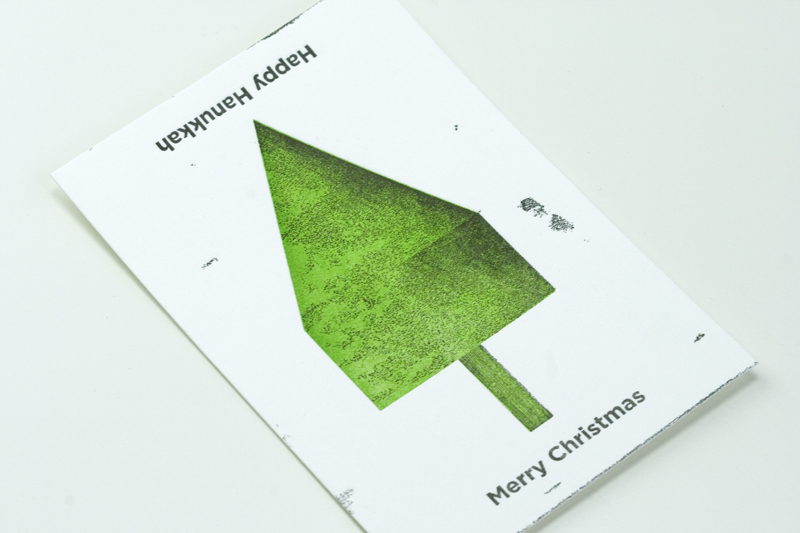 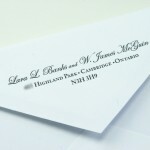 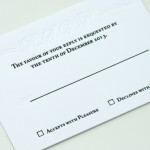 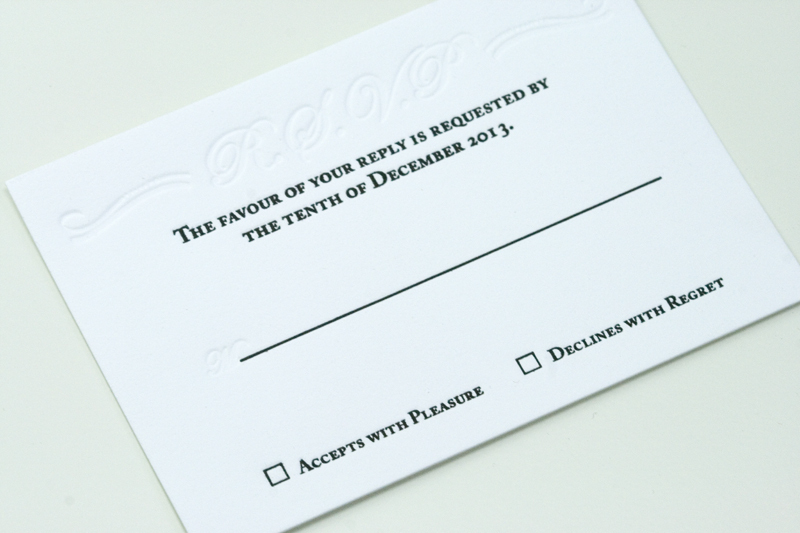 The reply card was printed in black and a blind deboss on pearl white 300 gsm Lettra. 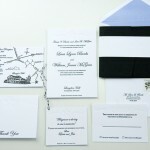 The favour tag was also black and blind deboss, trimmed in a square shape with painted edges and striped b&w baker’s twine. 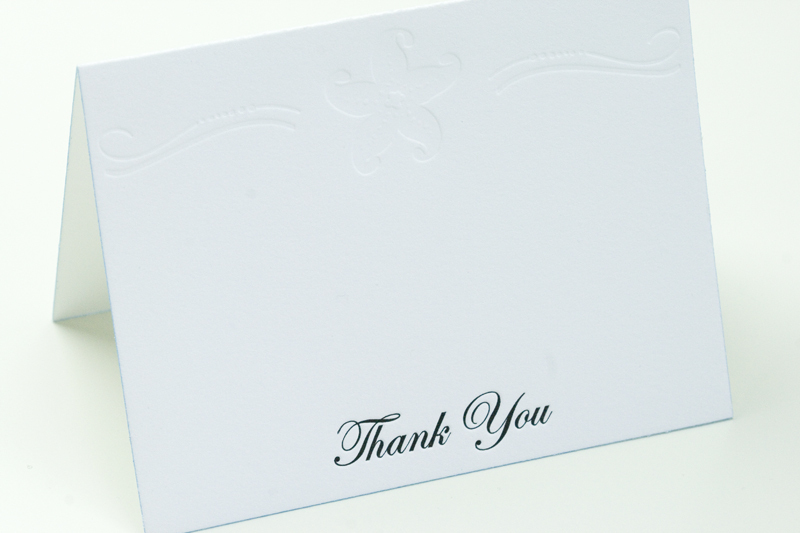 The thank you card was A2 size with a 2 colours printed on the front and a one-colour greeting inside, also with painted edges (a first for us for a thank you, but why not?) 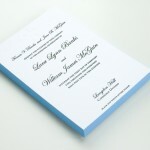 All envelopes were lined with robin’s blue printed liners. 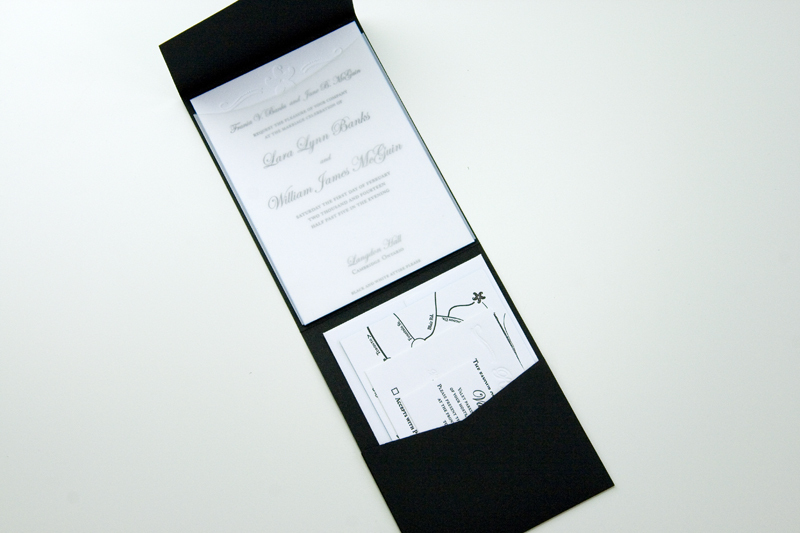 The final package was assembled in a pocketfold, the announcement held in place with an open vellum pocket. 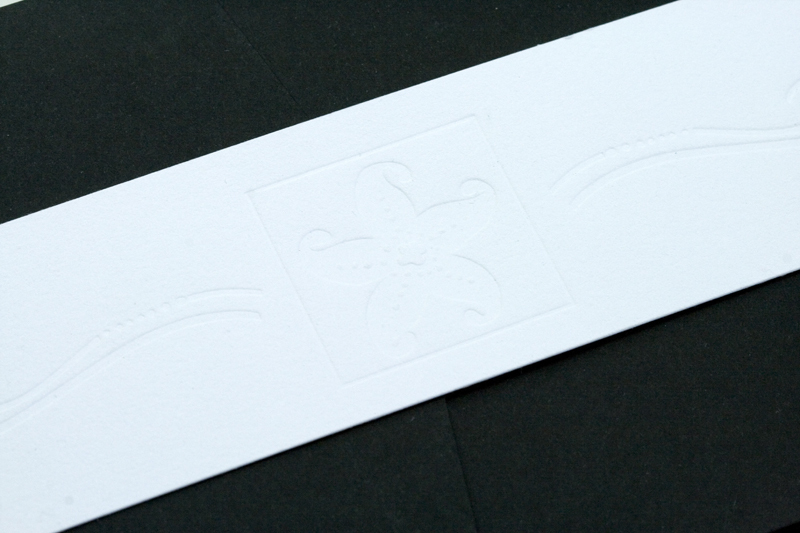 The pocketfold was then sealed with a band featuring a blind deboss of the recurring starfish illustration. 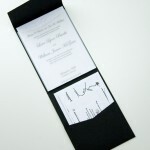 And there it is, our most elaborate invitation suite yet! 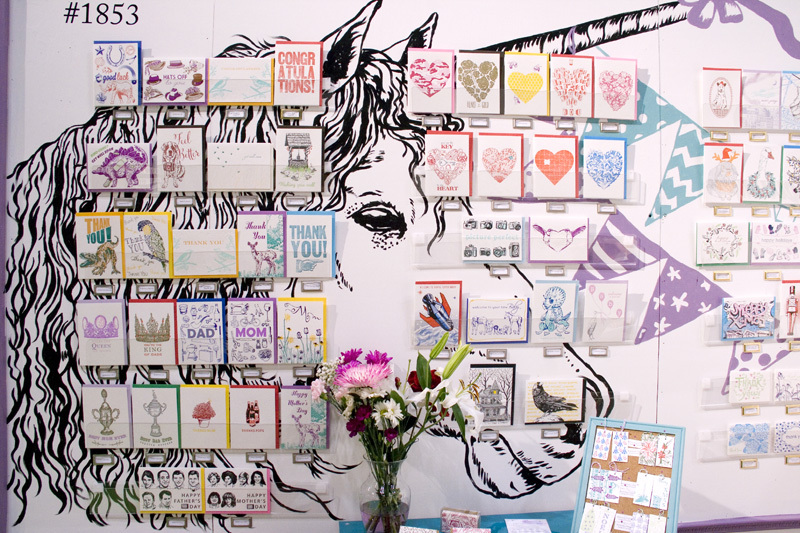 This year marked our third consecutive year exhibiting at the National Stationery Show. 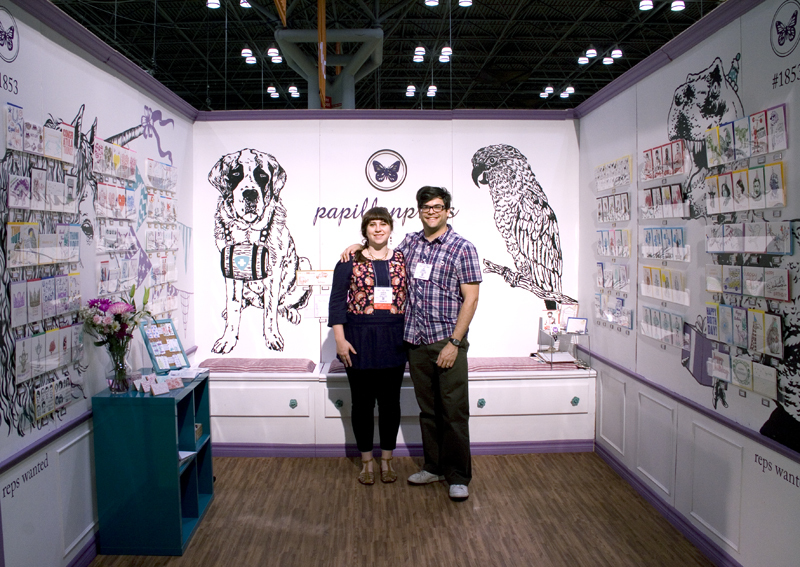 We made a few changes to the booth this year, expanding to a 10×10′ booth and completely revamping the look. 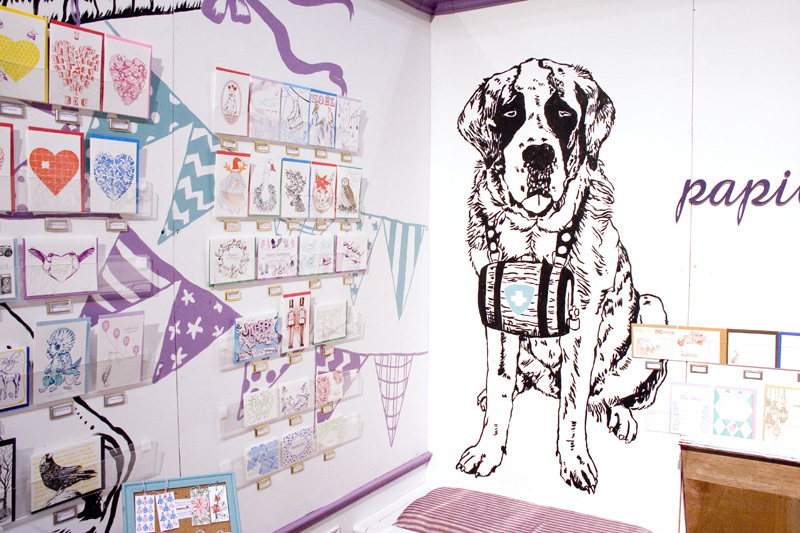 We painted the walls white for a fresher look, the trim purple then blew up some of our drawings and painted them on the walls. 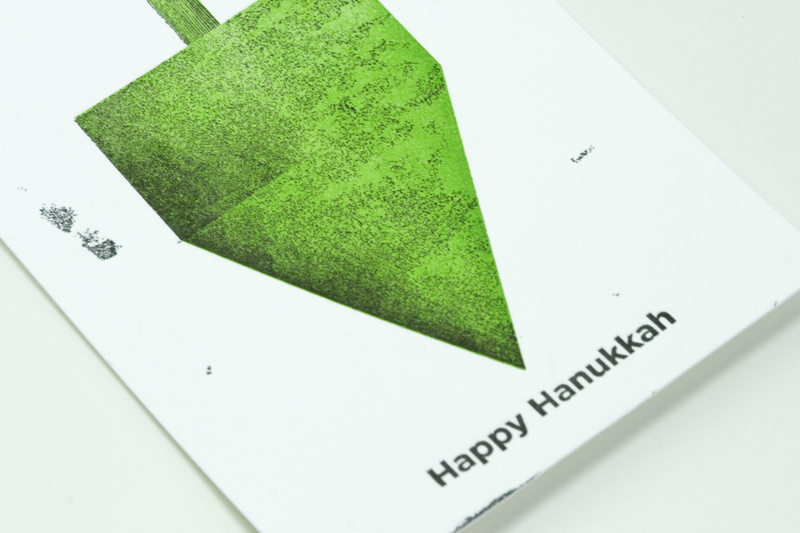 Yes, you heard right: we painted them ourselves. 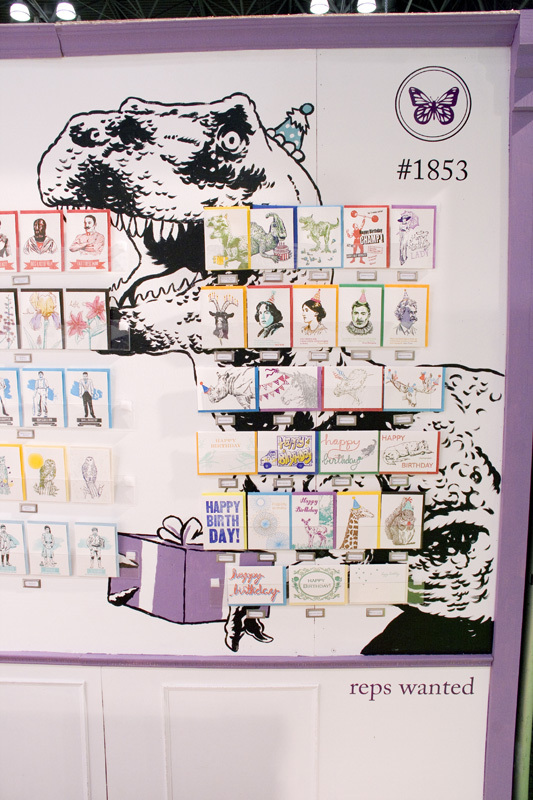 It was a very fun process to paint the murals, a process we will most likely repeat for future shows. 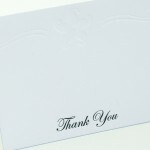 The show went very well for us and we were picked up by lots of new stores in territories that are new to us.